The guest can cancel free of charge until 3 days before arrival. The guest will be charged the total price if they cancel in the 3 days before arrival. (1)Smoking is not allowed in hostel. (2)CHECK IN-after 16:00 / CHECK OUT- before 12:00. (3)Before you check out, please remove the pillow case, duvet cover and bed sheet, and leave them on the bed. Your help will be highly appreciated. P.s. if you would like to check out earlier. Please make sure your KEY has been left inside the key box on the reception before you leave. If the key is lost, we would charge you 500TWD for the cost. (4)For the safety reason, please keep the key with you and Do not open the door for anyone unknown. (5)Food and drink are forbidden inside the room. You can enjoy your meals in the public area. (6)As requested by Security, the visitors are not allowed to enter any room without our staff company. Anyone found violating this rule will be reported to police. (7)After 22:00, please keep the voice down and take the movement lightly for your roommates who are asleep. (8)Gambling, prohibited drugs and alcohol abuse in the hostel are forbidden. (9)Please make sure to switch off all the air conditioner and lights if you are the last one to leave the room. (10)We provide lockers. However, we are not responsible for any loss of personal belongings. Guest are strongly advised to carry with their own valuables. If anyone who doesn’t follow the regulations or disturb others, TripGG have the right to cancel your reservation and refund parts of payment according to the period you have stayed. Your cooperation is highly appreciated. Best Regards. 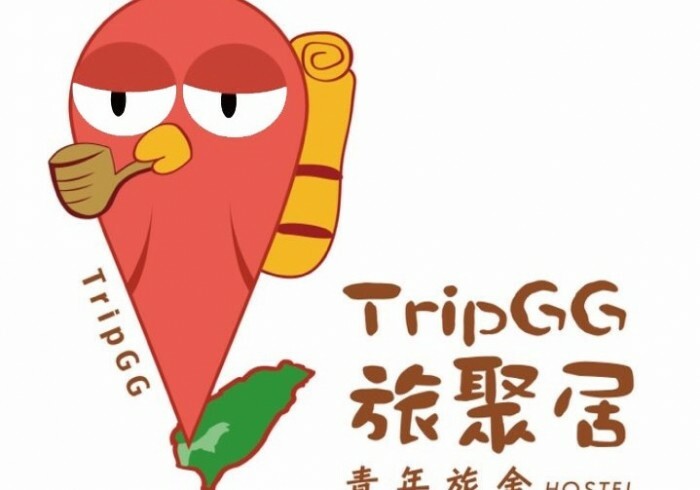 Well-positioned in Sinsing District, Trip GG Hostel is an ideal point of departure for the trip in Kaohsiung. It is very close to Formosa Boulevard MRTStation, just 30-second walking distance away. From here, guests can enjoy easy access to the city's places of interests. Liuohe Tourist Night Market, the famous tourist attraction, is only 3-minute walking distance away. Offering cozy and clean beds, Trip GG is a warm and friendly hostel that welcomes the backpackers that all over the world. Make yourself at home in one of the simply-decorated dorms featuring personal locker, personal reading lamp and shoebox. Curtains are available for each bed to protect privacy. Guests can relax in the spacious common room, complete with carpet and panoramic view of Kaohsiung city; or catch up with family and friends over the internet. Free Wi-Fi access covers the whole hostel, which you can have it anywhere. Address 1: 6F, No.117, Zhongshan 1st., Xingxin District.